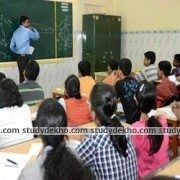 Mahendra’s at Ghaziabad is one of the most renowned names when it comes to the preparation of government exams. Started in 1995—with more than two decades of experience, Mahendra's is the best place to rely on for your future. With a whopping 161 branches across the nation, the institute offers Bank, LIC, SSC, Railway, RBI, NABARD, NTPC, State Level and other government examination preparation and they have a vision of preparing students by combining the smart ways of teaching through state-of-the-art technology in education. They tend to empower knowledge to all the students by implementing virtual means to enable quality education and to explore the student’s potential into a positive outcome i.e. their selection for the coveted Government Sector jobs. The coaching institute has the sole of making learning creative and smart. This is why they do not only follow the classroom study techniques but also make the students learn through the digital media. They do not believe in limiting themselves only to classroom teaching but they think beyond it. Hence, they also carved their presence on all the social platforms. Mahindra’s impressive objective is to empower the upcoming generation digitally with excellent standards of quality education and contributing a skilled workforce. The students here are trained to work extremely hard and have a dedicated mindset. To ensure their success, Mahindra’s unflinching focus is on excavating the best out of their students. The world-class professional faculties and the ever unparalleled quality of education that the institute provides has led to great results of the school. The comprehensive Test Series at the institute are designed to facilitate the student and give them a very clear idea about the exams they are about to give. This not only gives them a practice of how to give the exam but also helps them understand their weak points and enable them to assess themselves with efficiency. The students along with the dedicated faculty extract out their weaknesses and work on them so as to provide outstanding results to the candidate. The coaching provides its students with speed test that help them learn to give the exams with accuracy and speed and to excel in the exams they give in this era of cut-throat competition. The coaching has always given great results and every year delivers a batch full of successful and satisfied students glorifying their alma mater. Mahendra's Class Assessment (MCA): It is a printed test comprising of questions of all subjects asked in various examinations in a stipulated time period. This enables the candidates to become familiar with new concepts and also with the pattern of questions asked in various examinations. This also provides self-assessment to learn from previous mistakes. Further, this helps students to manage their time and accuracy. It also boosts the confidence of the candidates to take the difficult exams easily. In addition to these, they also provide Class Worksheet (CWS) and lecture wise Class Worksheet distribution in class. Every type of questions is included pertaining to a particular topic. This offers ease of practice in class as well as at home. The institute also provides a collection of updated questions based on the latest pattern of various examinations. Student's Corner: Mahendra's believes that young minds are full of curiosity. So they have dedicated themselves to end their curiosity by their problem-solving sessions and Student Grievance Cell. Students can register their respective suggestions, ideas, and complaints by generating a ticket through there ST portal. Speed Test: In the era of cut-throat competition where the level of difficulty is rising beyond expectations, Mahendra’s has taken a brilliant initiative to help the students prepare from all the aspects to excel in the examination. Their students are a step ahead of their competitors because of these meticulous regular speed tests. This facility provides a real-time experience of the examination hall before the real exam. Smart Class: This is a novel concept of teaching and learning. It comprises Smart Board and Smart Pen with state-of-the-art technology projector. With such initiatives, faculties can interact in a more influential way with the students. This helps them immensely in learning and grasping each and every concept of every subject perfectly. 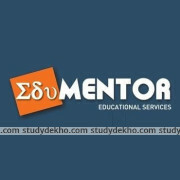 Smart Assessments: Mahendra’s offers a unique blend of smart assessment through a multitude of methods such as Speed Tests, Class Work-Sheet (CWS), Mahendras Class Assessments (MCA) and Mahendras Advanced Classes. For clearing doubts, they conduct special Problem Solving Sessions (PSS) to guide the students towards success. Smart Labs: The smart labs allow the students to appear in the exam before facing the real exam. This provides them with the accurate ambiance to practice and attempt speed tests. 3- NABARD & RBI Grade 'A' & 'B': This course is designed for the students who wish to prepare for National Bank for Agriculture and Rural Development (NABARD) and Reserve Bank of India (RBI) Grade 'A' & 'B' examinations. 4- LIC Assistant Administrative Officer & Apprentice Development Officer: This course is designed for the students who wish to prepare for Life Insurance Corporation of India’s Assistant Administrative Officer & Apprentice Development Officer Examinations. 5- Railway NTPC, Apprentice, Assistant Station Master, and Clerk: This course is designed for students who wish to prepare for Railway National Thermal Power Corporation Limited (NTPC), Apprentice, Assistant Station Master, and Clerk examinations. 6- State Level And All Competitive Exam: This course is designed for the students who wish to prepare for State Level And All Competitive Examinations.